$500 below NADA Retail!, FUEL EFFICIENT 26 MPG Hwy/21 MPG City! CARFAX 1-Owner, LOW MILES - 19,363! SX Turbo trim. Nav System, Moonroof, Heated Leather Seats, Aluminum Wheels, Panoramic Roof, Turbo Charged Engine. READ MORE! Leather Seats, Navigation, Panoramic Roof Kia SX Turbo with Burnished Copper exterior and Black interior features a 4 Cylinder Engine with 240 HP at 6000 RPM*. Rear Spoiler, MP3 Player, Sunroof, Aluminum Wheels, Keyless Entry, Remote Trunk Release, Privacy Glass. Edmunds.com's review says "Passenger space and comfort are outstanding for this size class. Even with a 6-footer in the driver seat, another 6-footer can sit immediately astern without issue, and he or she will enjoy ample thigh support.". 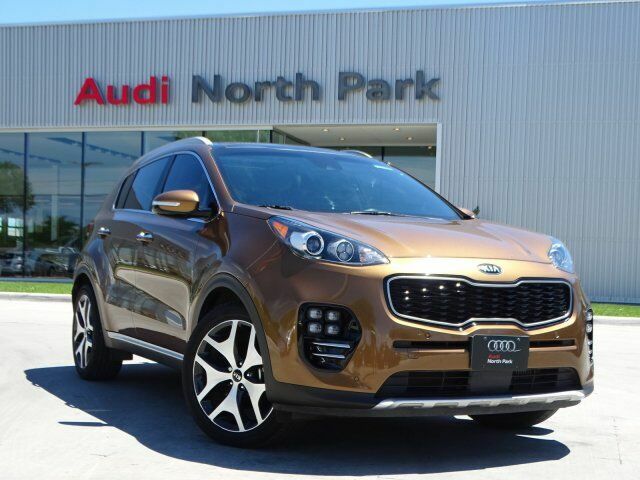 This Sportage is priced $500 below NADA Retail.